Cats' 9 Lives - Our Aquatic Kitten! 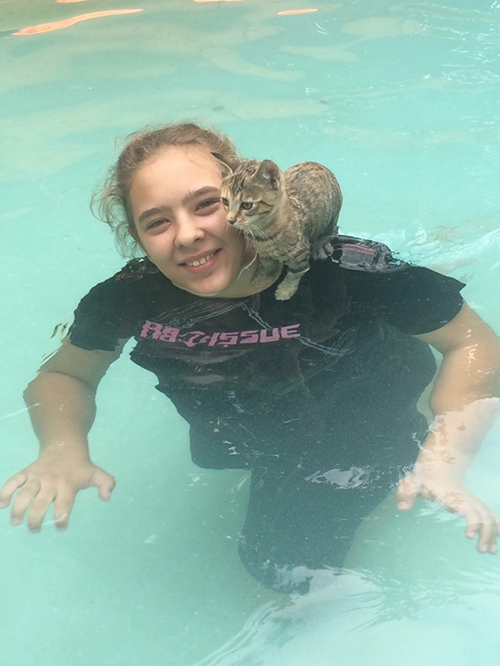 Cats9Lives | Our Aquatic Kitten! While a lot of cats dislike water, there are certain domestic cat breeds, such as the Bengal and Turkish Van breeds, who are renowned for their willingness to take to water and sometimes even take a swim. Large cats in the wild, who have evolved to thrive in warmer climates are very comfortable in water, but those in colder environments are not so keen. 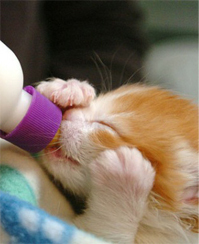 Many domestic cats are curious about water, and some, such as TomTom, absolutely love water! A cat's tail held high means happiness. A twitching tail is a warning sign, and a tail tucked in close to the body is a sure sign of insecurity.